The IQ 7805 provides circuit designers with an easy way to regulate the DC voltage of 5V. 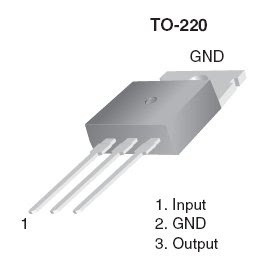 Encapsulated in a single chip / package (IC), the 7805 is a positive DC voltage regulator which has only 3 terminals. They are: input voltage, ground, output voltage. Storage Temperature Range............................ -65 ~ +150 °C.